The Bose QuietComfort 25 headphones (ARV $299) are far and away the best noise canceling headphones available. They offer an unmatched combination of the best noise reduction available plus lightweight, around-the-ear comfort and high quality sound. 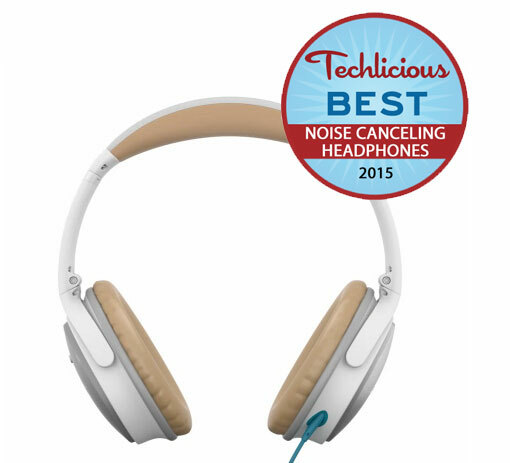 That's why we named them as our Top Pick for Noise Canceling Headphones. If you want a chance to win a pair of your own. enter our Bose QC 25 giveaway! Perfect for blocking out noise during summer travel, or even relaxing in your backyard without the drone from your neighbor's lawn mower! Enter through May 31st, 2015 for your chance to win! We will randomly select one (1) winner from the entries. No purchase is necessary to win. Total ARV $299. The giveaway will end at 11:59pm on May 31, 2015. Void where prohibited. U.S. residents 18+ only. Click here for the full rules.